Whether you’re a graphic designer with an appreciation for apparel or a consumer who collects shirts, finding the best sites for t-shirt design contests is important to keeping up to date with trends and sales opportunities. It seems like there are a billion shirt design contest sites on the Internet today, and what makes a site “the best” varies dramatically depending on which side of the sales counter you stand on. For designers it’s all about returns and exposure, while for consumers it’s more a matter of keeping up with the most popular styles. There are a handful of websites that hit both sides flawlessly. Check them out below. 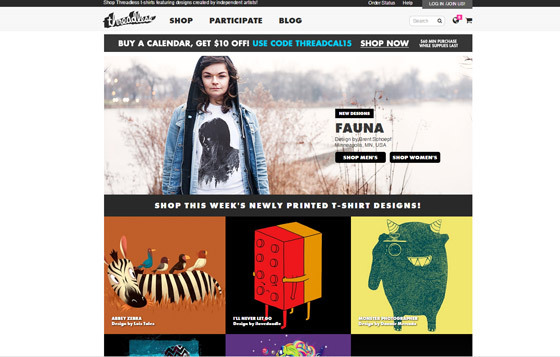 One of the best known t-shirt sites, Threadless hosts design contests to put other sites to shame. Voted the best t-shirt design contest site online by YouTheDesigner.com, Threadless has hosted hundreds of design challenges over the last ten years, allowing designers around the globe to compete for fame and fortune unlike anything else. These challenges are weekly, voted on by the site community—consumers and other designers alike—and results in massive cash prizes, unlimited exposure and even all expenses paid trips abroad. • Review the contest subject and form an idea. • Submit your design on the provided template. • Advertise and watch the votes come in. Submission is easy, and Threadless encourages artists to get their designs out there on social media and other venues; gunning for votes this way doesn’t ensure that that design in question gets the votes, however, as viewers are exposed to all the contest entries when they visit the provided link. This assures that the best design wins, not the design created by the most popular artist. 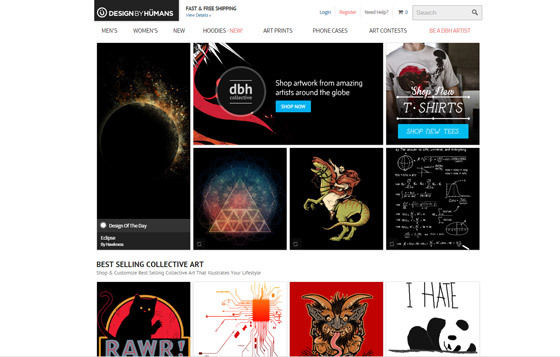 Slightly less known than Threadless, Design by Humans is based on more artistic designs than anything else. While most t-shirt contest sites are based on geek and fandom culture, Design by Humans brings pop culture to the brink of fine art. A recent contest, based on Ubisoft’s hit platforming game series Assassin’s Creed offered more than $12500 in cash and prizes to winning participants. While this is only this is one site with a shorter contest history than many others, at more than 20 contests offering exposure and cash to winners it’s definitely here to stay. The submission process for Design by Humans is fairly straightforward, with a template provided for artists to show off their graphic prowess, advertise for votes and gun for first place. 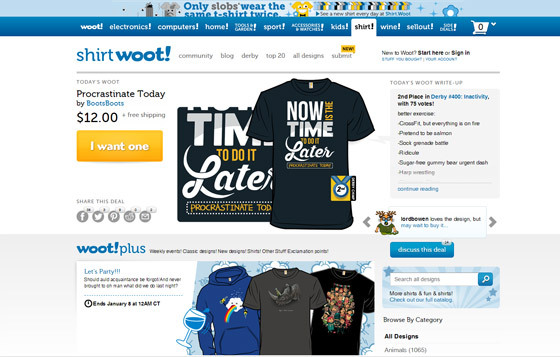 Voted one of the top 10 best t-shirt design sites online by Tee Reviewer, Shirt Woot! Keeps up with pop culture trends, loves to bury designers in nostalgia with their contest subjects, and offers decent prizes ranging from $500 to $1000 in cash. Designers also get a dollar or two per shirt sold, adding to their profits at the same time as their publicity. While Designhill is closer to a crowdsourcing site than dedicated to shirt design, the contests featured don’t just offer “flash in the pan” exposure offered by other competitive sites. Because this is a service geared toward obtaining clients, if your design is chosen it offers designers the option for future work with the same agency or apparel firm in the future. While there might not be as much instant recognition, it’s a foot in the door for professional apparel design. Prizes for winning a t-shirt contest at Designhill range from $200 to around $600, plus the professional exposure and the possibility of further work with the same client. Like Shirt Woot! 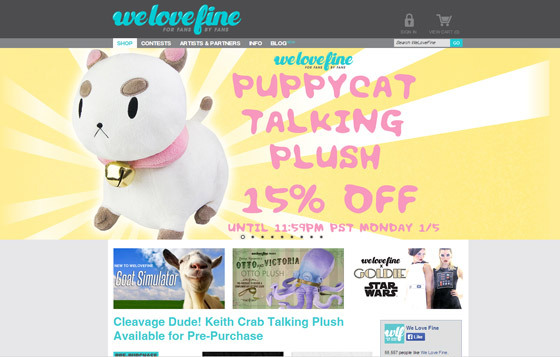 WeLoveFine is rooted deeply in pop culture, with all designs created by fans of particular media for other fans to enjoy. According to Compe-TEE-Tion.com, prizes from WeLoveFine average about $300 cash, plus so-called “swag” for fans of the series on which the contest is based. This site also offers continuing royalties on every item sold, offering residual income to every artist who wins a contest. Before you enter a contest, make sure you’ve scoped out past contests and winning entries, to get a feel for the expected level quality, and also fully understand the contest subject. For many contest sites, it’s best to have a personal investment in the given topic if you intend to enter, but if you have enough skill you can place in any contest to which you set your tablet. For voting, make sure you’ve looked at all the entries closely and carefully before casting your lot with one or another, just to be completely certain you’ve chosen what you feel is the best. Most importantly, however, for entrants and for voters, know that the best entry will win. Whether that’s yours, you favorite, or the one you liked the least, allow the community’s voice to shine through without being a sore loser. There are plenty of contests to go around.